INSIDE GREETING: Yippee! 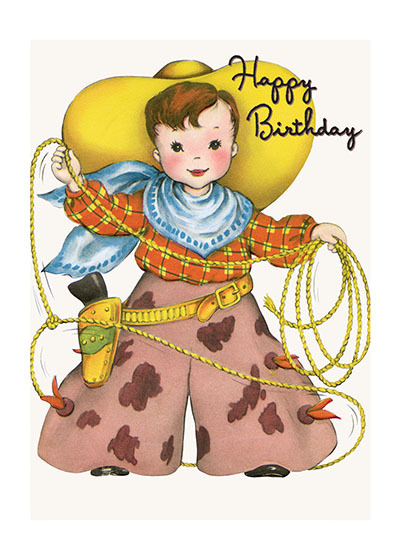 It's fun to ride the range, And lasso horses too; But still this little Cowboy says, He'd rather visit you! The commercial greeting cards of the mid-century from which we obtained this image are corny, but delightfully so, using puns and other forms of gentle humor to invoke a smile.